Pharrell has been in the studio with reggae artist Julio Todd also known as ‘Da Professor’. Todd was born in Kingston Jamaica on February 18, 1988. He grew up in Waterhouse & attended Oberlin High School, but his interest in music started at age 9 when he began performing at various school, church and community talent shows. In 2005 he migrated to the United States where he went on to finish school at the Thomas Edison High School in New York. In 2006 Professor met up with a long time friends Ramaine Hamilton (Studio Face) & Shawlon Stone (Stevie Bash) & soon after they formed a studio & music group known as “Jetset International Music Group” and “Jetset Studio”. 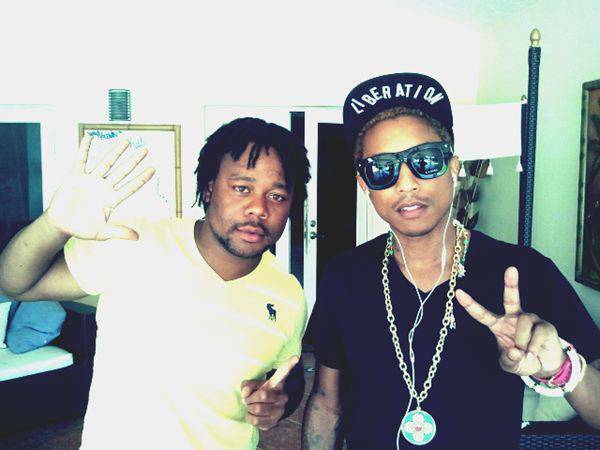 “In studio with pharrell ting deh pan blass mad ting jetset!”. Thanks to Creatrice.